Time of Origin: Unknown origins, but came to Traken over five thousand years in the past and remained in existence until three thousand years before the 1980s. History: His origins are mysterious, but Kwundaar is certainly one of the most ancient entities The Doctor has ever encountered, existing on Traken almost six thousand years in the past and living for well over two thousand years just for a chance to gain access to the Source. A being from outside the universe, Kwumdaar came to Traken at some point in the distant past, setting himself up as a god of knowledge, leading the people of Traken in discovering the skills of science, residing in a temple built to honour him. However, after the creation of the Source of Traken, a miniature sun, the Consuls of Traken learned how to use it to banish Kwundaar from their planet. The Source became an avatar of their old sun, regulating the climate and providing energy while imposing judgement on the planet, 'burning' those who might do ill within the Union. Although apparently disfigured by his contact with the Source, Kwundaar refused to concede defeat, gathering a fleet around himself as he offered the assorted crews of these ships all the resources and power they could desire, asking for nothing more than their unthinking obedience to him and his self-centred creed, which included rules such as proclaiming that the crew should force their will on others before others tried to rule them, or helping Kwundaar before themselves and themselves before others. Despite the proclaimed loyalty of his followers, Kwundaar's telepathic powers - while used on a more regular basis to detect approaching spacecraft - allowed him to be aware of every thought they had that might contain doubt or anger at him, increasing his dark view that everyone would betray him in the end as he was always aware of even the brief private doubts common to all living beings that few people would ever act upon. Although his power would have allowed him to establish his presence anywhere else in the universe, Kwundaar's fixation on the Source kept him on the edge of the Traken Union, unable to take the fleet any closer without being burned by the Source but refusing to depart and seek power elsewhere. This détente was maintained for exactly 2532 years, with Traken becoming particularly superstitious about evil and maintaining strict control of their contact with offworlders, until Kwundar came up with a new plan of attack. While the Traken natives of Kwundar's era had lose their psychic defences as the Source did the job for them, its protection meant that their own powers were not needed to keep them safe, requiring Kqundaar to explore other avenues of attack. 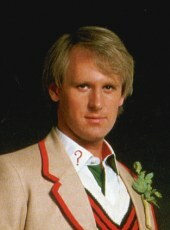 Reaching out across time, he found Nyssa, a Trakenite who had left the Union three thousand years in its future ("Logopolis"), and sought to create a series of circumstances that would force the Fifth Doctor, to bring her to a time when she would be able to 'aid' Kwundar's plans (Based on The Doctor's ability to resist Kwundaar's influence even when directly in front of him, presumably The Master was useless for this purpose despite his own stolen Trakenite body ("The Keeper of Traken") due to his greater mental defences or simply his own natural evil). Triggering the manifestation of long-dormant psychic potential in Nyssa, Kwundar waited patiently as Nyssa's powers were awoken during her travels with The Doctor, aware of The Doctor's reputation and having guessed how the Time Lord would respond. Eventually, his plan came to fruition when the strain caused by her powers forced The Doctor to seek medical help for Nyssa, taking her back in time to the era when Kwundar was outside Traken, in the hope that Shayla, recognised in history as Traken's greatest healer, would be able to help his friend. Unfortunately, the Traken of this era was too superstitious to treat Nyssa's condition as an illness, simply proclaiming that she had been contaminated by evil, being far too rigid in their view to consider the moral greys of her time with The Doctor. Stuck for alternatives, The Doctor was forced to follow Shayla's suggestion that they see if Kwundaar could help Nyssa, taking a merchant ship out to Kwundaar's fleet so that he could meet with Kwundaar in person. Although he was briefly overwhelmed by Kwundaar's psychic potential, The Doctor regained consciousness after an hour, Kwundaar simply requesting one unidentified favour from The Doctor even as he knew The Doctor wouldn't destroy the Source for him in return for Kwundaar boosting Nyssa's psychic defences. When Kwundaar claimed that he wanted to keep Shayla as a slave, The Doctor and Shayla fled back to their ship, but Kwundaar was satisfied as he knew that The Doctor was playing into his hands. Although The Doctor thought that he had defeated Kwundaar by boosting the Source's shields, he failed to realise that this was what his foe had wanted him to do all along. By increasing the power of the Source's defences, he also blocked its ability to generate the energy that was keeping Kwundaar away from Traken in the first place, allowing Kwundaar to return to Traken and claim the Source for himself at last. Nyssa attempted to buy time by tricking one of Kwundaar's minions into touching the water of the fountains, still imbued with the essence of the Source and thus 'toxic' to his followers, while she swam to the Source itself. Unfortunately, Nyssa was confronted by Kwundaar once she reached the Source, forced to connect his Source Manipulator to it as she couldn't resist his direct control. As Kwundaar's forces gathered around Traken, the planet vulnerable to evil for the first time in centuries, The Doctor realised the truth about Kwundaar's history with Traken, and managed to escape with the aid of Narthex, one of Kwundaar's followers who had some subtle doubts about Kwundaar even if he had never dared to act against Kwundaar directly (although he had helped The Doctor and Shayla escape by deactivating various doors as they returned to their ship while 'disguising' his actions as The Doctor finding the right codes). In a confrontation in the vault of the Source - which had once been Kwundaar's own temple before he was banished - The Doctor was able to convince Narthex to help him ensure that a truly omnipotent Kwundaar would never spread across the universe, even as one of Kwundaar's other followers destroyed the Source Manipulator keypad so that The Doctor couldn't trap it in its current configuration. As The Doctor's allies connected the door keypad from the vault to the Manipulator, The Doctor entered the vault to distract Kwundaar, who revealed that he was using the Source to summon others of his kind to this universe before knocking The Doctor out and leaving the vault. Extracting the code to lock the Source in its current configuration from Nyssa's own memory of The Doctor giving her the code, Kwundaar gleefully entered the sequence into the control pad, only to learn that The Doctor had tricked him. Anticipating that he wouldn't be powerful enough to defeat Kwundaar in a direct confrontation, the code that The Doctor had given Nyssa instead transferred control of the Source to whoever was inside it at the time that the code was entered, essentially turning The Doctor into the first Keeper of Traken. With the power of the Source behind him, The Doctor was able to restore its ability to deflect evil before turning its full energies on Kwundaar, subsequently passing on the role of Keeper to Shayla, who assured the Consuls that they would not be punished for their fearful surrender to Kwundaar. 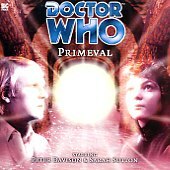 As The Doctor prepared to depart Traken, he noted that, before Kwundaar was destroyed, he sent out a 'dinner gong' signalling for other primeval beings such as himself to return to the universe, marking The Doctor for their future attention. While it has never been explicitly confirmed, this may be the reason for The Doctor's more regular encounters with pan-dimensional beings in his later incarnations, ranging from new encounters with familiar pan-dimensional enemies such as the Black Guardian ("Enlightenment") and the Chronovores ("The Quantum Archangel" and "No Future") to completely new foes such as the Sirens of Time ("The Sirens of Time"), The Word Lord ("45: The Word Lord" and "A Death in the Family"), the Scourge ("The Shadow of the Scourge"), The Beast ("The Impossible Planet/The Satan Pit"), House ("The Doctor's Wife"), or the Boneless ("Flatline").